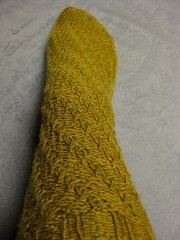 I’ve finished my Hedera Socks. Overall I’m very happy with them. 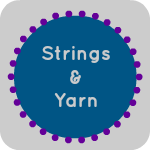 There are very few patterns that I would consider doing over again, but this is one of them. I wore them a few days ago, and they didn’t want to stay up very well. This lace is just very stretchy! I’m very happy with the Lorna’s Laces, and if I found some more in a color I liked I would definitely buy it again. This skein worked out perfect for Project Spectrum, and I like how it looked with the simple lace pattern. I’ve already finished my first sock for another pattern. 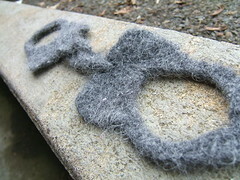 This is the Boyfriend sock by Alice Bell of Slipped Stitch. 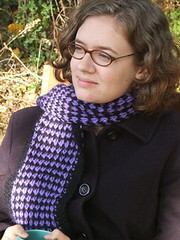 I wouldn’t have found this pattern without Ravelry, which by the way I continue to be addicted to. This is a great pattern, and I’ll be sure to share the full picture soon. I did change the toe. This is the rounded toe that I talked about here. 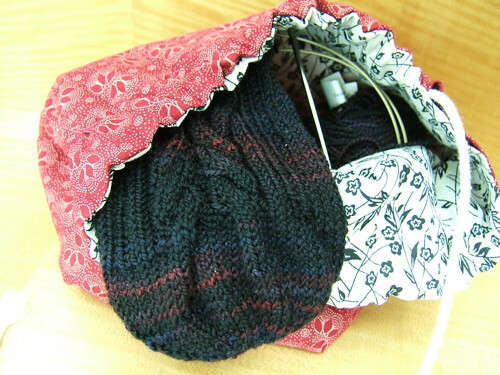 The yarn is Claudia Handpaint in Argyle Sock and it is perfect for June/July Project Spectrum. 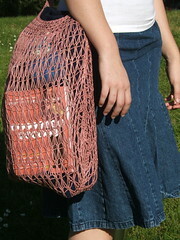 The bag is one I made back when I did the Knit Mitt Kit Swap, and I have used it for many projects. It’s way better than a ziplock. 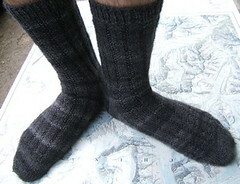 Lovely socks, Hedera is on my list – along with every other Cookie sock pattern.